FRESNO, Calif. (KFSN) -- Tulare County Sheriff's deputies are searching for an at-risk elderly man from Torrance. According to officials, deputies responded to an abandoned vehicle on Road 24 and Avenue 184 in Tulare. The car, believed to belong to 84-year-old Francisco Candelario, was found by a canal bank with the keys in the ignition. Candelario was not in the area. Authorities say Candelario suffers from Dementia. 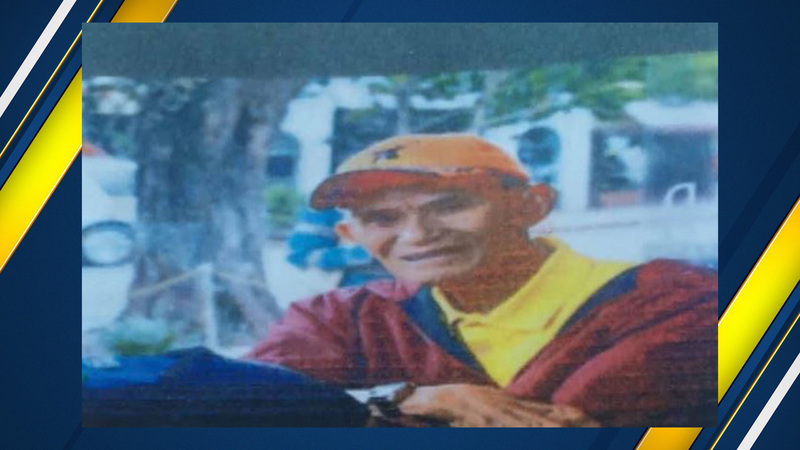 He is described as an Asian male with brown eyes and grey hair. He is 5'5" and 128 pounds and was last seen wearing a red jacket. Anyone with information on Candelario's whereabouts is asked to contact the Tulare County Sheriff's Office at 1-800-808-0488.